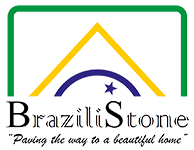 Brazilistone specialise in the most beautiful Brazilian slate products, including indoor floor tiles that are ideal for transforming your kitchen or bathroom. Creating a clean, contemporary look, these slate floor tiles come in many colour variations, with unique patterns and textures. When split, this type of slate forms a smooth contemporary riven surface that looks both modern and traditional at the same time. Unsurprisingly it’s becoming increasingly popular with interior designers, homeowners and garden designers. Based in Oxfordshire, we are proud to be Brazilian slate specialists and always supply excellent value for money. Our slate floor tiles can be ordered to your unique specifications, with our team always listening closely to your unique needs. Our slate floor tiles are made from natural stone imported with great care and hand-picked for its superb quality. 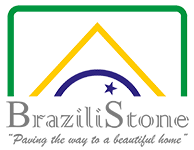 As a family-based business, we also pride ourselves on our professionalism, reliability and integrity. Whether you’re looking for wall or floor slate tiles, you’ll find them among our extensive range which are available in a wide range of sizes. You are always welcome to visit our showroom in Oxfordshire if you’d like to view our slate floor tiles before you buy. Our indoor slate tiles include stunning multi-coloured designs which are made up of golds, blues, rusty reds, yellows and browns. Why not browse our collection of Indoor Slate Tiles today?